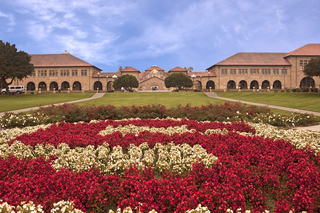 Free Overleaf Pro accounts for everyone at your institution. Already available at these leading institutions — click below to confirm your affiliation and claim your free account. Not available at your institution yet? Download our Request for Service! Overleaf Commons is our subscription service for institutions to provide Overleaf Pro accounts to their students, faculty and staff. This service provides streamlined, branded enrollment, a private resource center, a teacher’s portal, member training and administrative analytics/metrics. Overleaf Pro accounts – for students, faculty and staff. Pro benefits include more storage space, advanced access control, full project history view, and quick save to Dropbox. Streamlined enrollment – we will provide a branded Overleaf Commons landing page where your students, faculty and staff can easily register for their Overleaf Pro account. A resource center – featuring templates, FAQs and Help resources (customization to match your style guidelines upon request – click images above for samples). Teacher portal – our convenient teacher portal page lets faculty distribute assignments, track edits made by students, and quickly collect and download the versions they submit for marking making it easier to keep track of their students’ work. Training videos and webinars – to ensure your users are trained and ready to use Overleaf templates and resources. 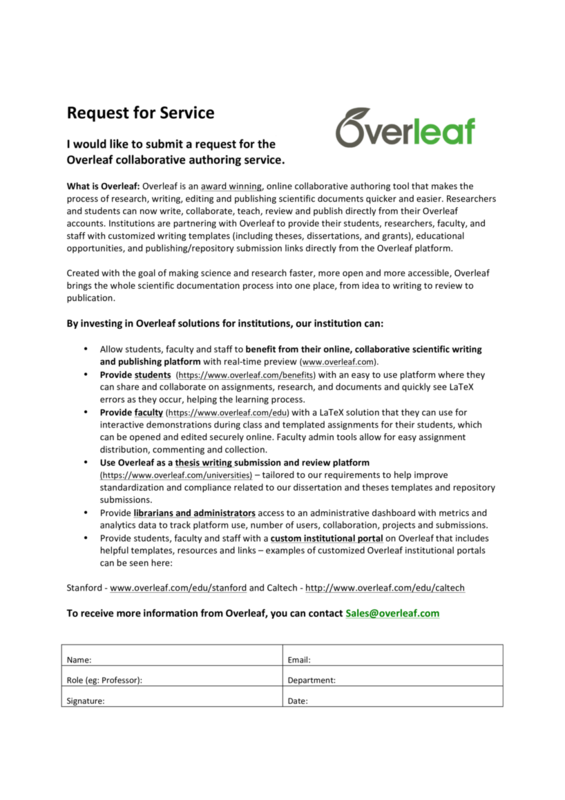 If you have any other questions about Overleaf for Institutions, please contact us!